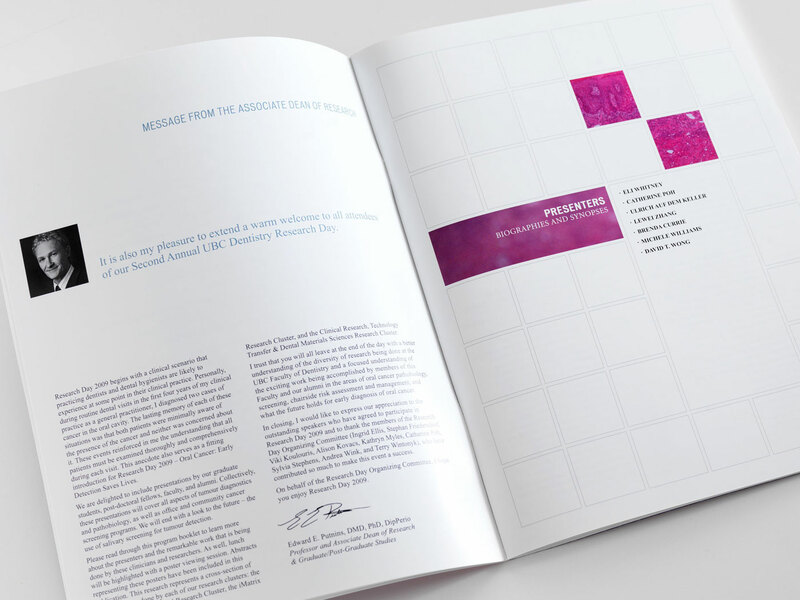 Letterbox worked with the UBC Faculty of Dentistry in creating a new brand identity to represent the vision of their dean. 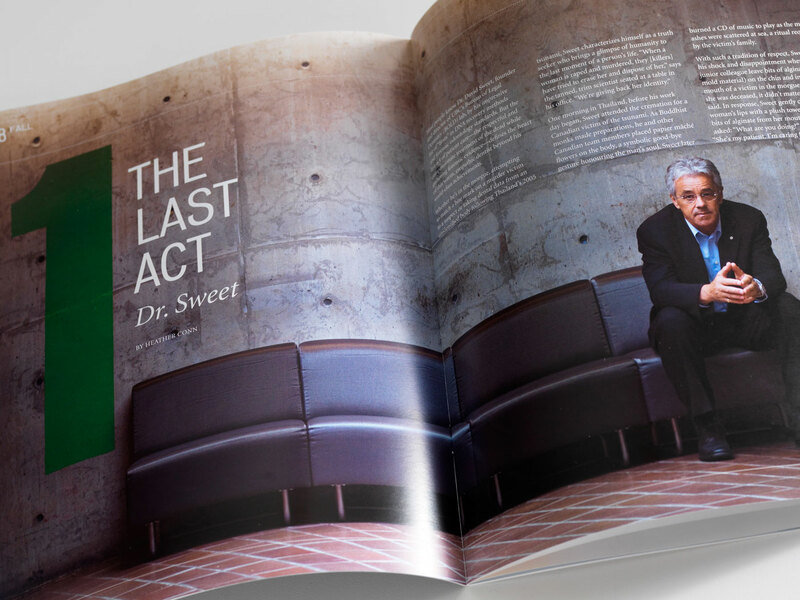 The challenge was to give this brand a unique voice while respecting and working within the graphic language of UBC. 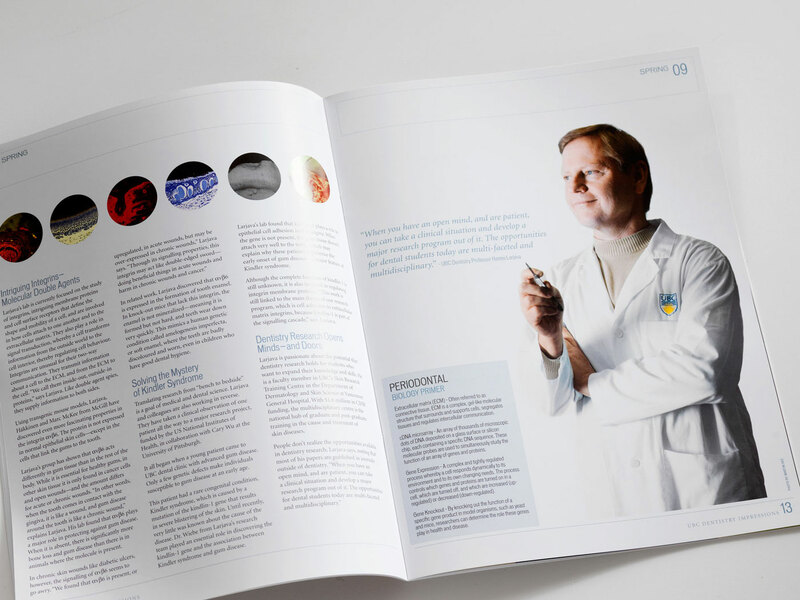 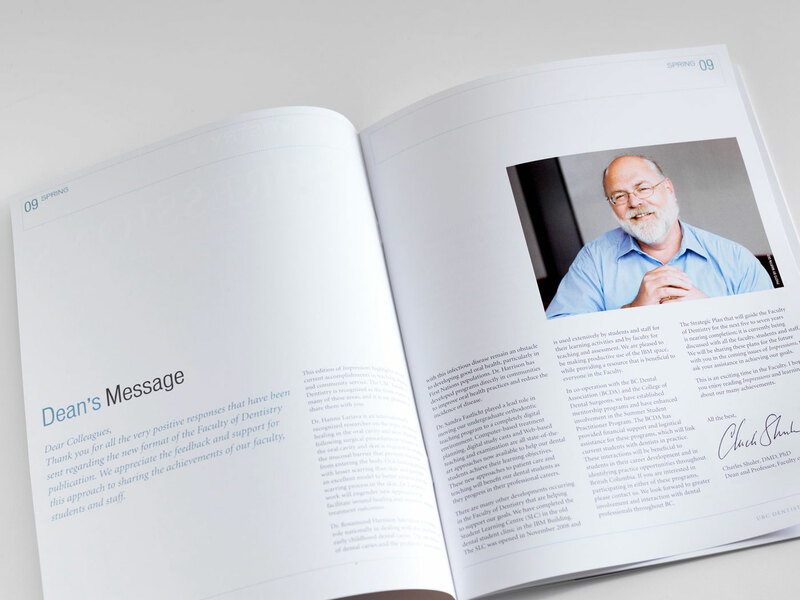 A major part of this rebranding project was the redesign of the UBC Dentistry magazine, with a mandate to raise the conceptual aesthetic to a much higher, more international level, and to increase awareness of the faculty's innovations in research. 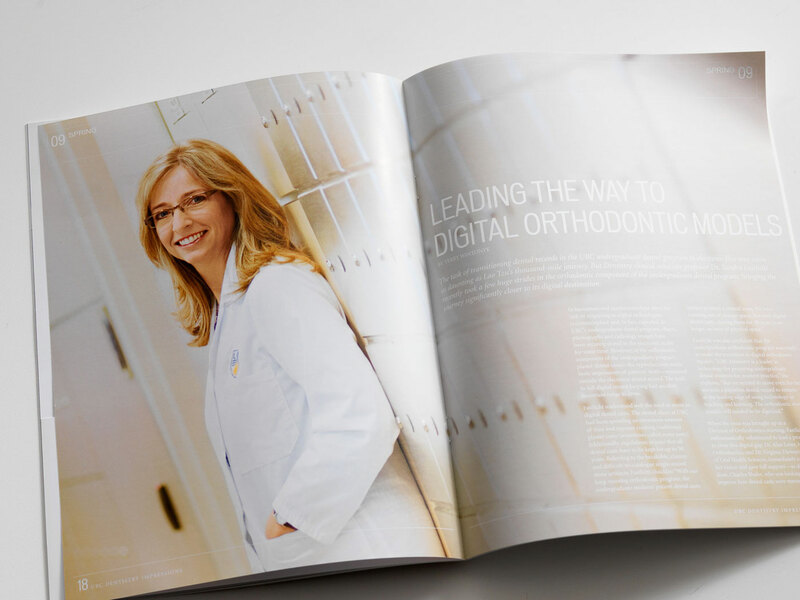 Every issue of the 40-page publication now includes a dynamic photographic story and feature article about a high profile member of the UBC Dentistry community making a global impact in their field. 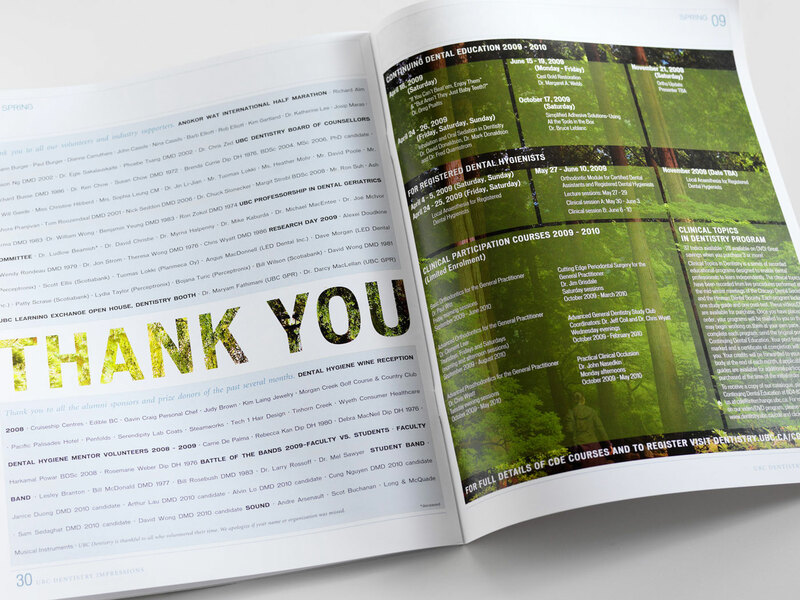 Each cover dramatically features UBC's/BC's natural surroundings, referencing the Faculty's core brand concepts of preservation and forward thinking. 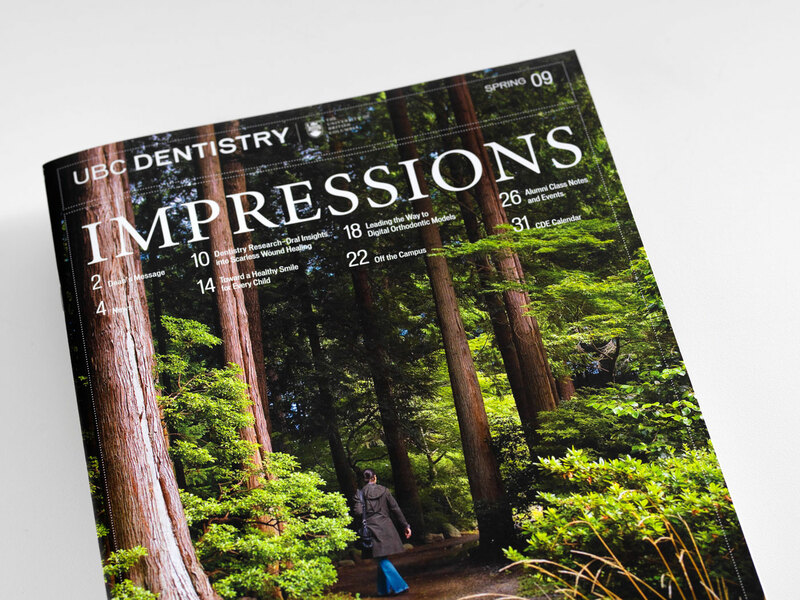 The rebranded Impressions is the 2010 winner of the American Association of Dental Editors' prestigious Lawrence H. Meskin Award for excellence in student dental publications. 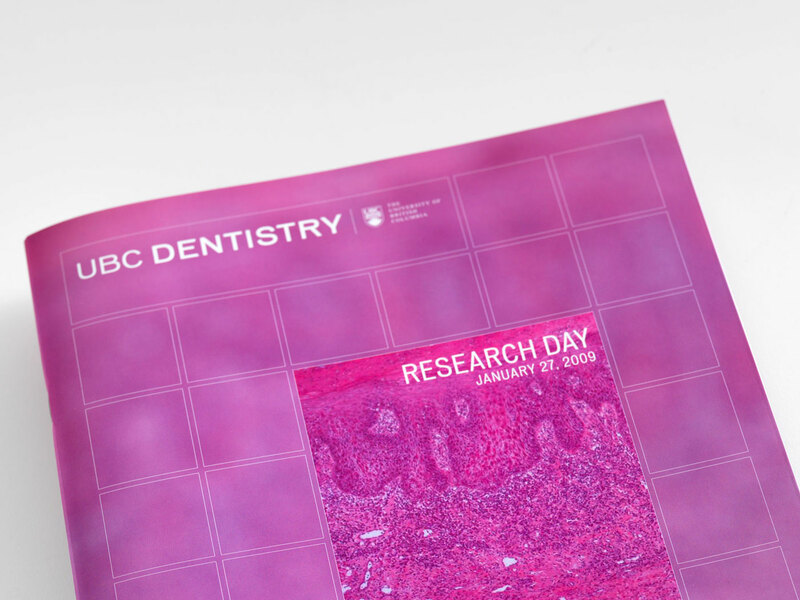 There was a high level of collaboration between the design team and the faculty, researchers, and UBC Dentistry marketing team. 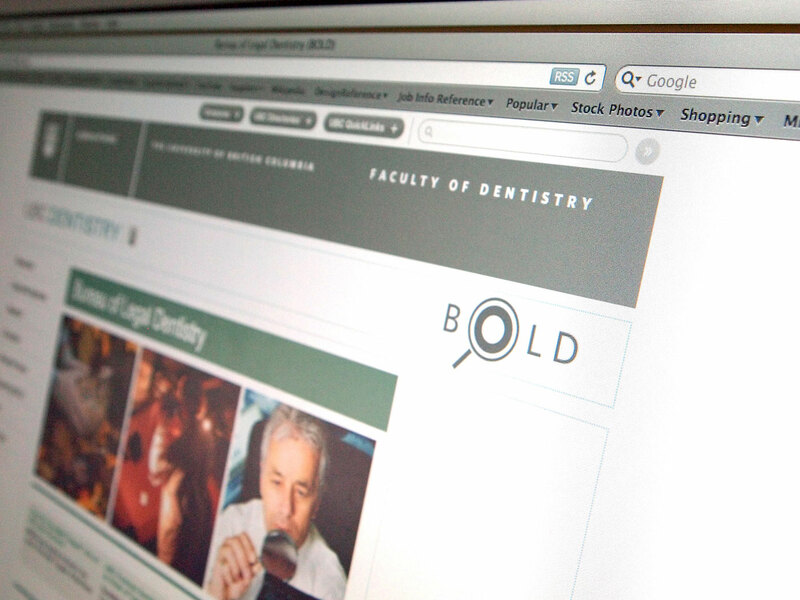 The brand language for UBC Dentistry continues to evolve into publications for international conferences and events, a comprehensive web site redesign, and a new identity for Dr. David Sweet and the Bureau of Legal Dentistry that more accurately represents their position at the leading edge of forensic odontology.